DOLL WIGS. 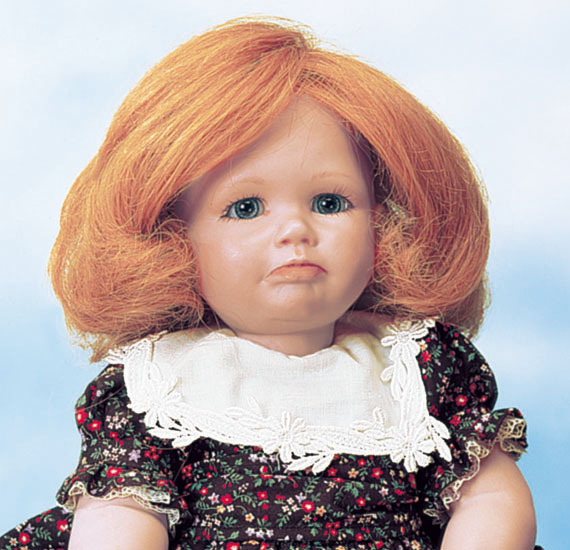 Add realism to your dolls with 100% Human Hair and Mohair Doll Wigs. Imported from Germany. Doll Wigs can be washed, cut and styled just like your own hair! 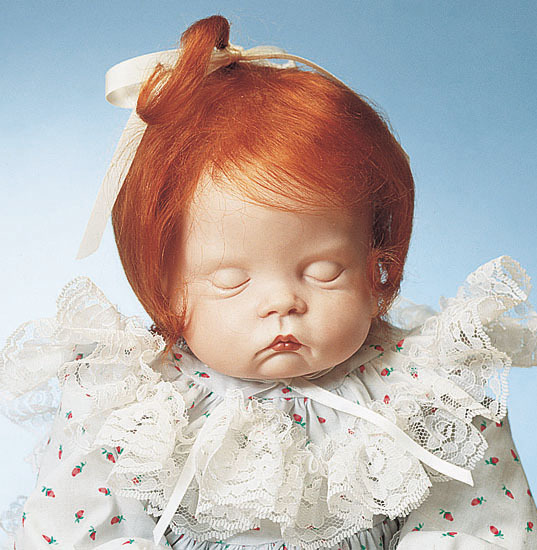 A must for the serious doll maker. SAVE UP TO 78% Off Original List!!! FANTASTIC SAVINGS On Great Looking, Easy-To-Style Doll Wigs! Hand tied and knotted. 100% Human hair. Soft, silky tresses. Stretch knit cap. Hand tied and knotted. 100% Mohair hair. Soft, silky tresses. Stretch knit cap. (A) Doll Wig - Long & Lovely, [ 9 to 10-1/2 ] Black SAVE!!! (A) Doll Wig - Long & Lovely, [ 11-12 ] Black SAVE!!! (B) Doll Wig - Curles & Waves, [ 10-11 ] Strawberry SAVE!!! (B) Doll Wig - Curles & Waves, [ 10-11 ] Dk. Brown SAVE!!! (B) Doll Wig - Curles & Waves, [ 12-13 ] Strawberry SAVE!!! (B) Doll Wig - Curles & Waves, [ 12-13 ] Honey Blond SAVE!!! (B) Doll Wig - Curles & Waves, [ 12-13 ] Dk. Brown SAVE!!! (B) Doll Wig - Curles & Waves, [ 13-14 ] Strawberry SAVE!!! (B) Doll Wig - Curles & Waves, [ 13-14 ] Dk. Brown SAVE!!! (C) Doll Wig - Unfant, [ 8-9 ] Lt. Brown SAVE!!! (C) Doll Wig - Unfant, [ 8-9 ] Dk. Brown SAVE!!! (C) Doll Wig - Unfant, [ 10-11 ] Lt. Brown SAVE!!! (C) Doll Wig - Unfant, [ 10-11 ] Dk. Brown SAVE!!! (C) Doll Wig - Unfant, [ 12-13 ] Dk. Brown SAVE!! !